We’ve all been there. The piles of shoes. The mate-less mittens. The heap of jackets. A disorganized entry makes your home feel chaotic and cramped right when you walk in the door. That’s why we are swooning over these serene modern entryways from Apartment Therapy. A place for everything and everything in its place. It’s the stuff of dreams. Speaking of dreams, in an ideal world we’d all have a dedicated mudroom or a giant entry hallway to work with, and a carpenter ready to create built-ins perfectly sized to our space. Thankfully there’s more than one way to make this somewhat of a reality. 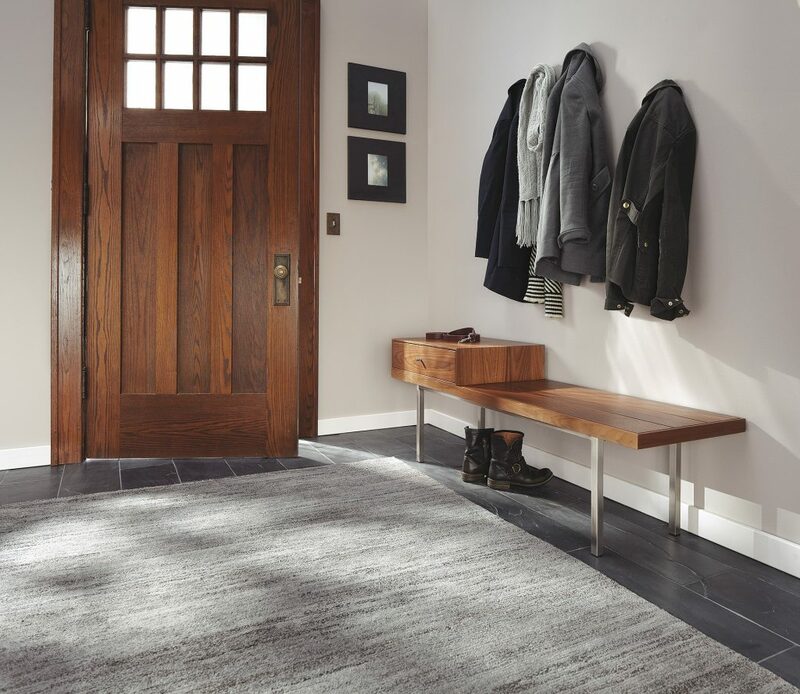 With the right pieces of furniture and hard-working accessories, you can create a functional, beautiful entryway (and take it with you when you go). 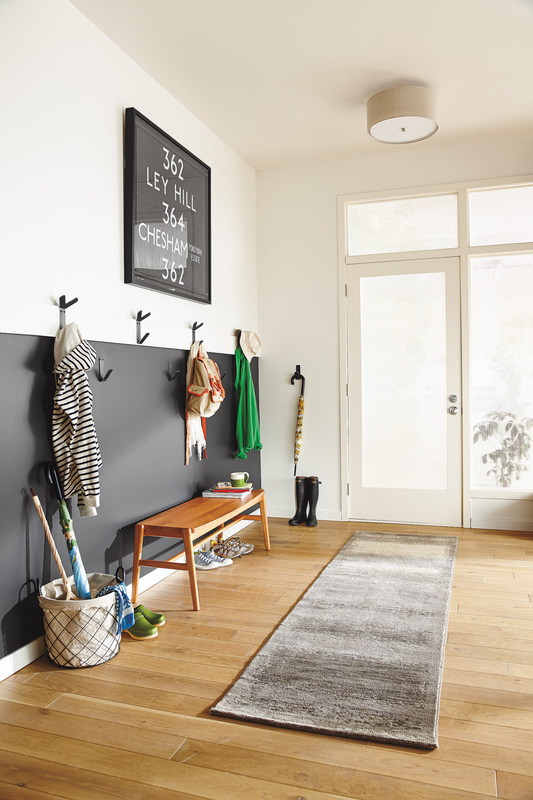 Here’s a simple entryway equation that works: Bench + hooks = function. Benches offer you a spot to sit, a surface to put down your bag and tuck-under storage. Get a modern bench with drawers and you’re really in business. We don’t have to tell you that hooks give you a place to hang your coat and bag. But a hook like our Triple Wall Hook also gives you a nook above your jacket to rest your phone and mail. Handy! If you’re short on wall space, consider a sculptural coat rack that looks as pretty empty as it does filled with coats. They’re a little old school, in the best way. Are you one of those people who cringes at all this stuff being out in the open? We hear you. 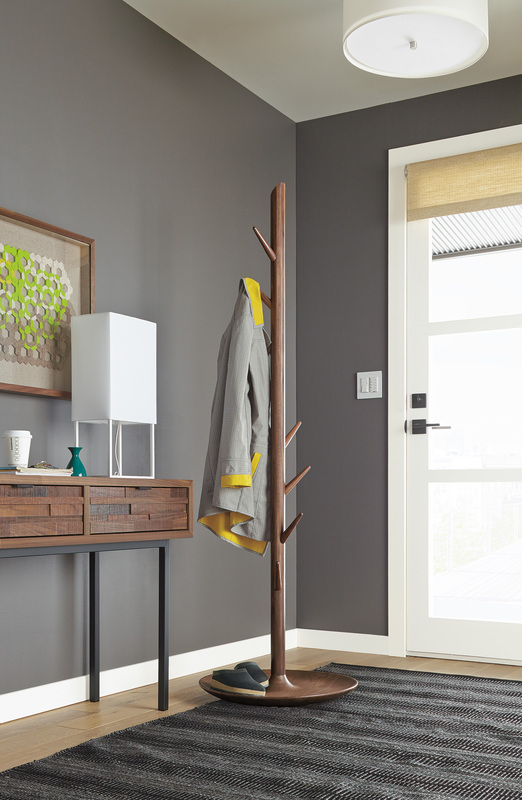 We have an idea for you, too….entryway armoires. It’s like magically turning your wall into a closet. Design victory. See more organized entryway ideas here.